There is an opening for the Ward 5 City Council position. 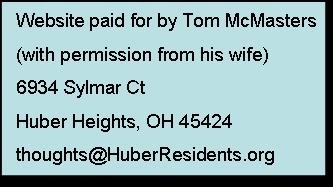 If you have lived in Huber Heights Ward 5 for at least one year and have been registered to vote in Ohio for at least one year you can apply by submitting a cover letter and resume to the Clerk of the Council, Mr. Anthony Rodgers. I'd appreciate a courtesy copy or at least notice that you are interested. The target date for submission is on or before Feb 10, 2016. After cover letters and resume's are received Council will review and schedule interviews. Council will fill the vacancy within 30 days of the resignation. The resignation was effective Jan 25, 2016. Council members earn $300 per month. There are typically two City Council meetings and two Council Work Sessions per month. 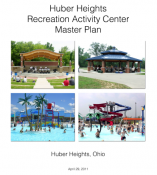 Look at the agenda's to the left side of the page and click through the read ahead items to get a feel for the information available before the council meetings. Watch the video recordings found on the right side of the page to get an idea of the work done at the committee meetings and work sessions. Below is a picture of Ward 5. You can check which ward you live in through the Ward Locator on the City's Website. Download a better picture from the City's webpage. Candidates for the offices of Councilmember and Mayor shall be qualified electors of the City at the time of filing their nominating petitions, shall have maintained their residency in the City at least one (1) year immediately preceding the election, and shall maintain residency during their term of office. Candidates for the offices of Councilmember to be elected by districts shall have resided in their respective districts for at least one year immediately preceding the election and shall maintain such residency during their term of office. Councilmembers, including the Mayor, who cease to meet the preceding eligibility requirements during their term of office shall forfeit their offices pursuant to Section 13.08 of this Charter. SECTION 4.07 VACANCIES; FORFEITURE OF OFFICE; FILLING OF VACANCIES. (C) Filling of Vacancies. Vacancies in the office of Councilmember shall be filled within thirty (30) days by vote of a majority of the remaining members of Council. If a vacancy occurs in an office of Council-elect, the Council for the new term shall appoint, by a majority vote of the members then holding office, an elector of the City. If Council fails to fill any vacancy within thirty (30) days following the occurrence of the vacancy, the power of Council to fill the vacancy shall lapse and the Mayor shall fill the vacancy by appointment within three (3) days or as soon thereafter as possible. Any appointee under this Section must qualify under the provisions of this Charter. If the vacancy occurs subsequent to ten (10) days before the date when candidates for the office of Councilmember must file their nominating petitions or if two (2) years or less remain in the term of the incumbent who created the vacancy, the person so appointed shall serve for the unexpired term. If the vacancy occurs ten (10) or more days prior to the date when candidates for the office of Councilmember must file their nominating petitions and more than two (2) years remain in the term of the incumbent who created the vacancy, the person so appointed shall serve until a successor is elected at the next regular municipal election and such successor assumes office on the first day of January following the election. The person elected at the regular municipal election shall serve for the remainder of the unexpired term.